Floor Graphics – In Store Advertising That Works! Posted 07-12-2013 by Dale Bohman. 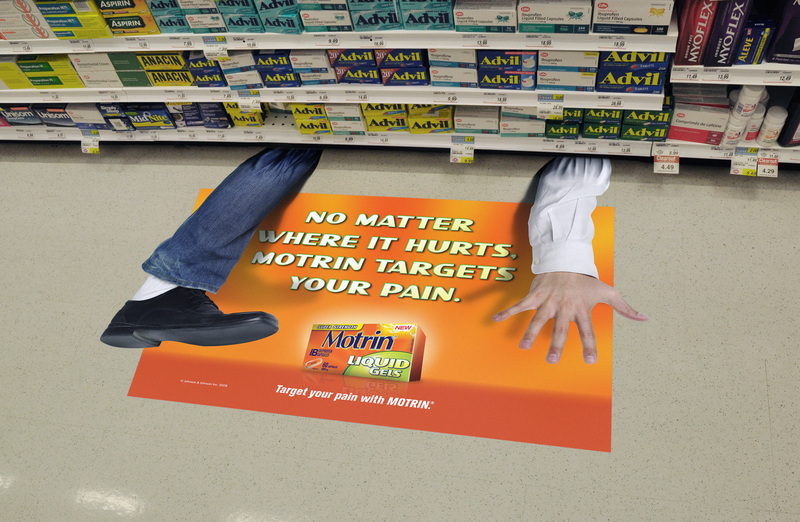 Floor Graphics, are you missing out? You have seen them in grocery stores, gas stations, movie theaters and even outside on the sidewalk! If you have prospects in your business, you have a captive audience and a great opportunity to sell. Get attention using places you never imagined! Today, we have graphic materials that can be used on linoleum, tile, cement, carpet and even brick, tile and asphalt! These materials are made to be used and not damage the surface underneath them and can remain in place up to a year or more! You can also cut them out in nearly any shape to help attract attention! All of the materials use a non-slip lamination designed to make sure you do not create a liability issue with a slippery surface, and many even come with a warranty against slippage claims (see your sales rep for details).